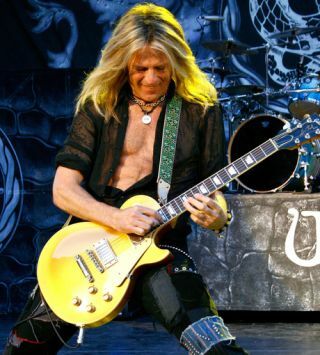 Whitesnake guitarist Doug Aldrich will be hitting the road in the UK, hosting a series of Marshall Masterclasses featuring the JMD:1 range. All tickets are £5 each and every person who attends will be automatically entered into a prize draw to win a brand new Class 5 combo. Read a great new interview with Doug here. Here's Marshall's Chris 'It's Not The Wrong Way Round' George putting the JMD through its paces exclusively for Guitarist.